If your home is like mine, you’re connecting more devices of all different types to your network — and you might have noticed that your old router is having trouble keeping up. Most of us depend on Wi-Fi connectivity and, luckily, Wi-Fi 6 (802.11ax) is arriving just in time to give home connectivity a much-needed boost. If you’re eager to get Wi-Fi 6 in your home, there’s more good news. NETGEAR just introduced its Nighthawk AX4 router, the industry’s first mainstream dual-band 4-stream Wi-Fi 6 router. The Nighthawk AX4 stands out for being Gig+ capable — meaning it’s designed to use 160 MHz channel bandwidth so that you can get true gigabit speeds. And, with a dual-band 4-stream router you can start experiencing the benefits of Wi-Fi 6 in an affordable way, with a performance and coverage boost compared to legacy Wi-Fi 5 (802.11ac) routers. I’m also proud of the fact that the Nighthawk AX4 is powered by the Intel® Home Wi-Fi Chipset WAV600 Series, which is designed to deliver fast, reliable and responsive connectivity. Our chipset was the industry’s first Wi-Fi 6 solution for dual-band 4-stream (2+2) routers and is optimized for Intel Wi-Fi 6 (Gig+), which will be the industry’s first Wi-Fi 6 solution for the PC. By upgrading to a Wi-Fi 6 (Gig+) router now, you’ll be ready when the flood of Wi-Fi 6 devices hits the market. For example, PCs with Intel Wi-Fi 6 (Gig+) will become available starting in Q2 2019. We expect more than 100 designs this year alone. When connected to a Wi-Fi 6 (Gig+) router like the Nighthawk AX4, these PCs will be capable of faster upload and download speeds. You’ll also see more consistent performance when many different types of devices are connected to your router at the same time. And because Wi-Fi 6 delivers lower latency, you’ll get dependable, ultra-responsive connectivity for high-quality videoconferencing, real-time gaming and seamless streaming of high-definition movies and videos. 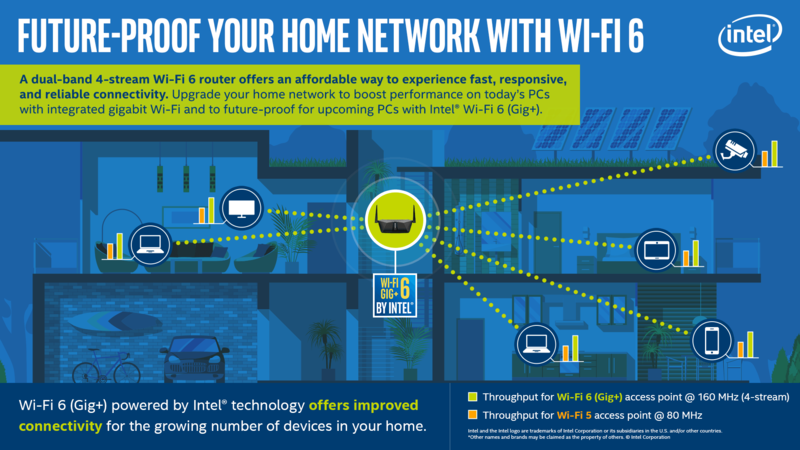 Although you’ll see the highest-quality experiences with future Wi-Fi 6 devices, you can also get a boost by connecting Gigabit Wi-Fi-capable PCs to Wi-Fi 6 routers now. For example, when connecting 8th Gen Intel® Core™ processor-based PCs with integrated Gigabit Wi-Fi to a Gig+ compatible router, such as the Nighthawk AX4, you can get true gigabit speeds. And you can rest assured that Wi-Fi 6 (Gig+) routers have backward compatibility to support your devices that have older Wi-Fi. We’re excited about how this next generation of Gigabit Wi-Fi is taking home connectivity to a new level. The NETGEAR Nighthawk AX4 will be available from NETGEAR-approved retailers starting April 2019. For more information about the router, visit the NETGEAR product page. Doron Tal is the General Manager of the Wireless Infrastructure Group in Intel’s Smart & Connected Home Division. He brings over 20 years of experience in networking semiconductors and broadband access. Doron joined Intel in 2016 to lead a platform product marketing team for connected home infrastructure products. 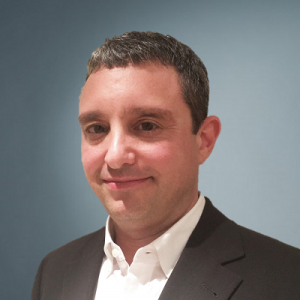 Under Doron’s leadership, the team focused on increasing the attach rate of Wi-Fi technology to connected home platforms across retail, cable and telco segments. Prior to Intel, Doron led Broadcom’s Fiber Access business and was previously the vice president of marketing and business development at BroadLight which was acquired by Broadcom in 2012.